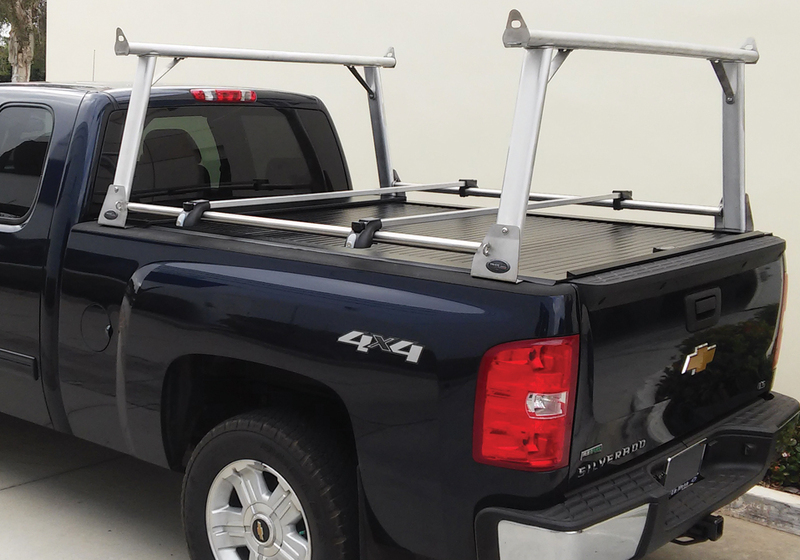 The latest addition to our product line, the American Truck Rack – A multi-purpose ladder rack that can be used with roll-top tonneau covers. 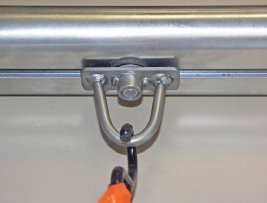 It integrates aluminum and stainless steel design elements to create a sturdy, yet eye-pleasing mechanical structure. 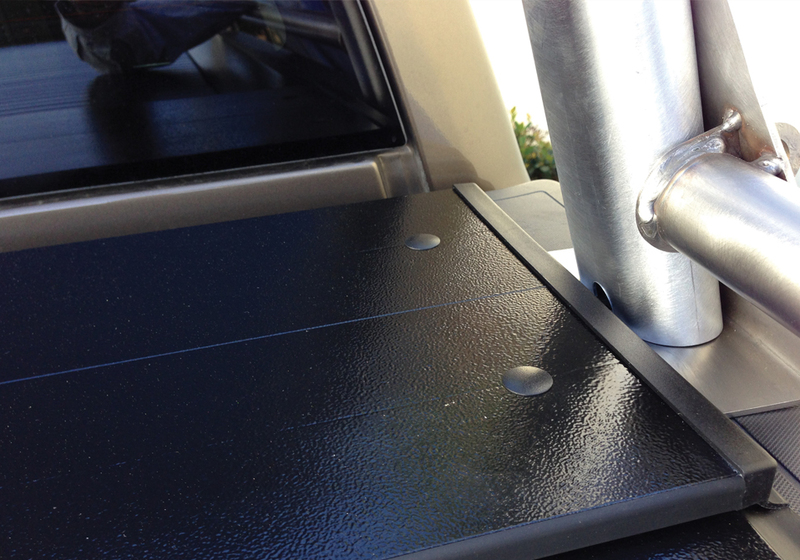 Using stake pocket holes, installation is easy. No drilling required. Rack weighs about 60lbs, but carries up to 500lbs. 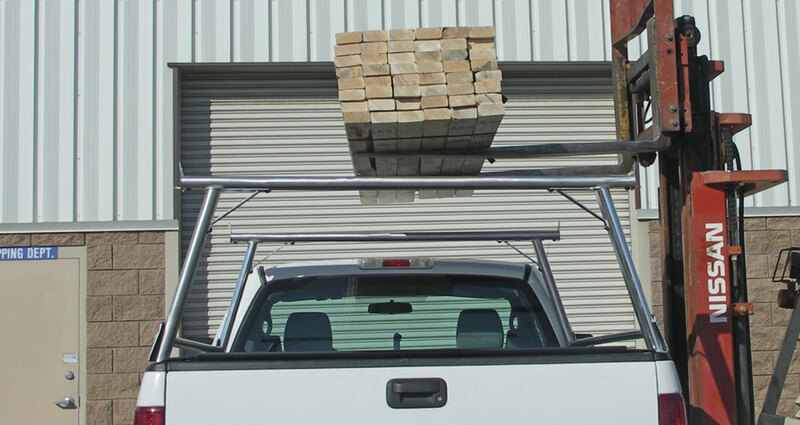 Aerodynamic crossbars lie flat on top to support loads and improve airflow and gas mileage. 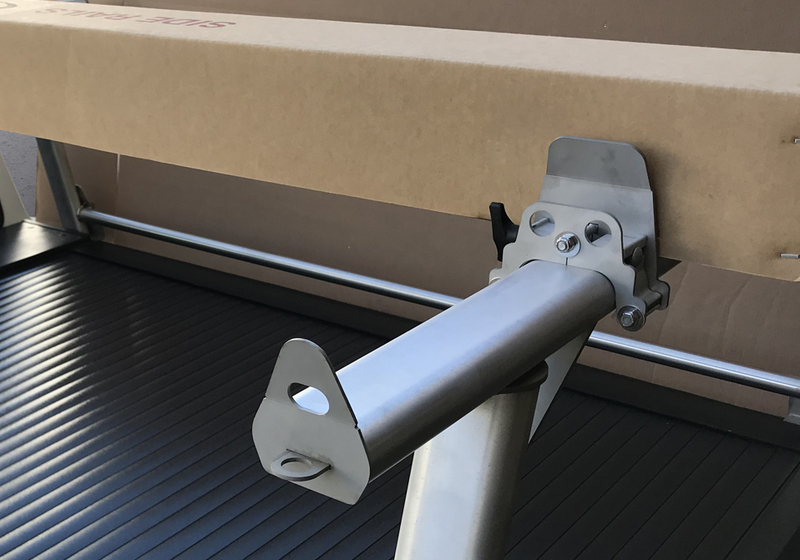 The rack removes in minutes and disassembles for compact storage. 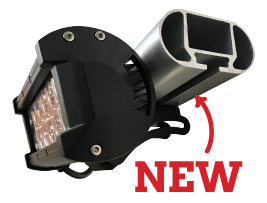 Proudly designed and manufactured entirely in the USA. 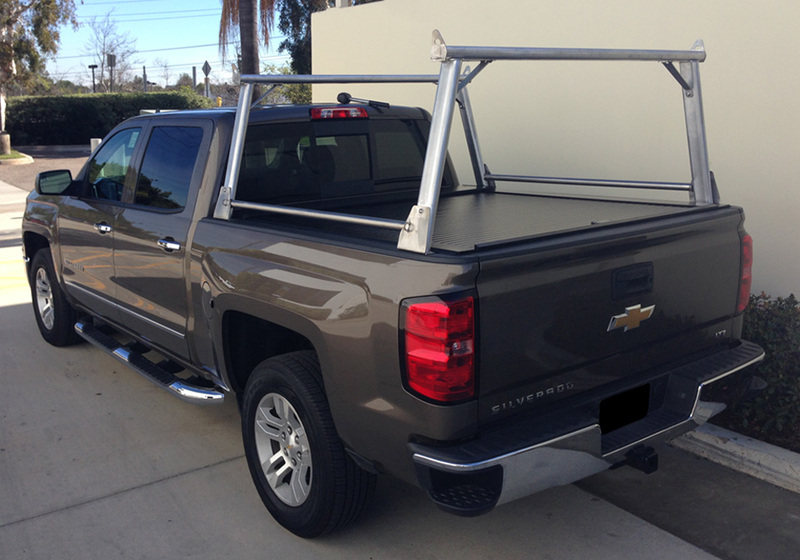 Features of the American Truck Rack – Truck Covers USA’s new Heavy-Duty Rack System! 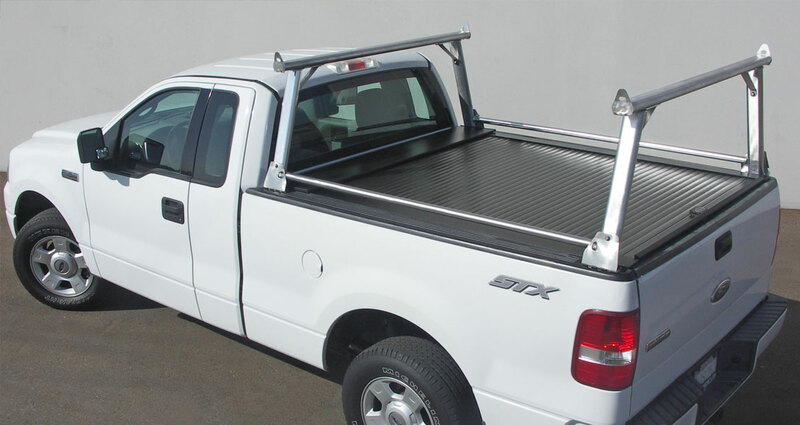 The American Truck Rack is a multi-purpose ladder rack that can be mounted and simultaneously used with roll-top tonneau covers by Truck Covers USA. 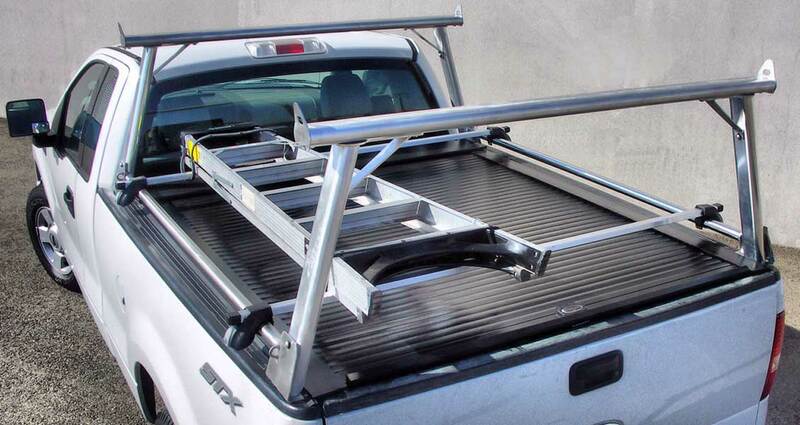 This truck rack is made entirely in the USA. Integrates Aluminum and stainless steel design elements to create a sturdy but eye-pleasing mechanical architecture. 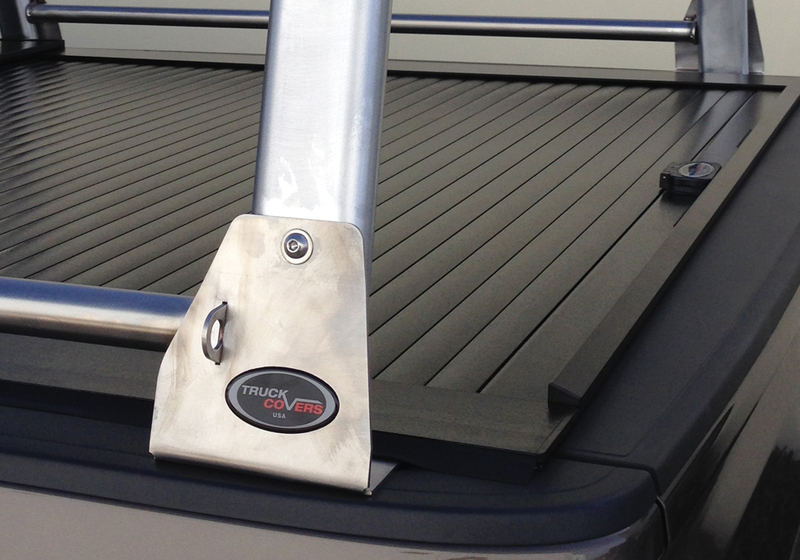 Installs to the bedrails of pickups with stake pocket holes WITHOUT DRILLING! Weighs only about 60 lbs. but easily carries up to 500 lbs. Features aerodynamic crossbars that are flat on top to gently support loads, and rounded front and rear to improve airflow and gas mileage. 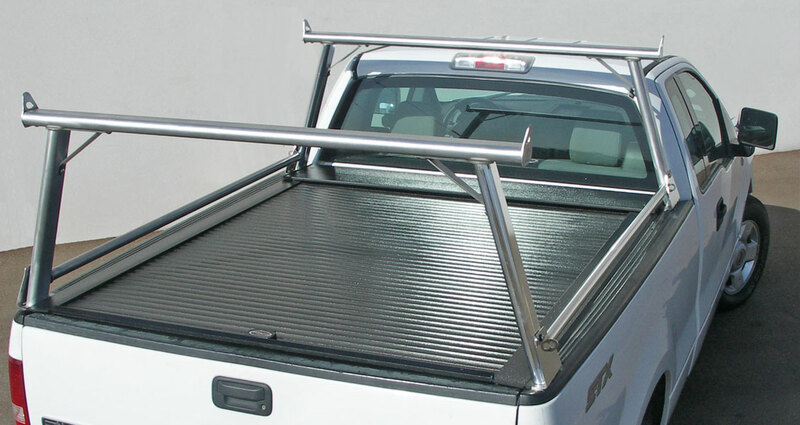 Includes a tie-down eyelet at the end of each crossbar and at the base of each leg making tying down cargo with ratchet straps or ropes a cinch. 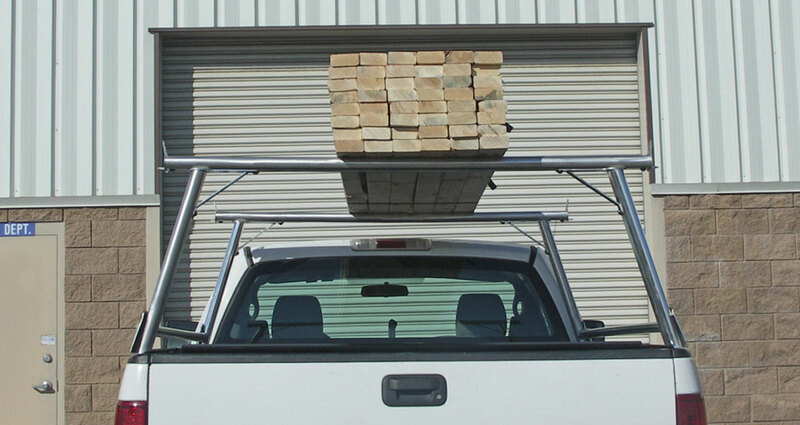 Facilitates loading cargo with a forklift. 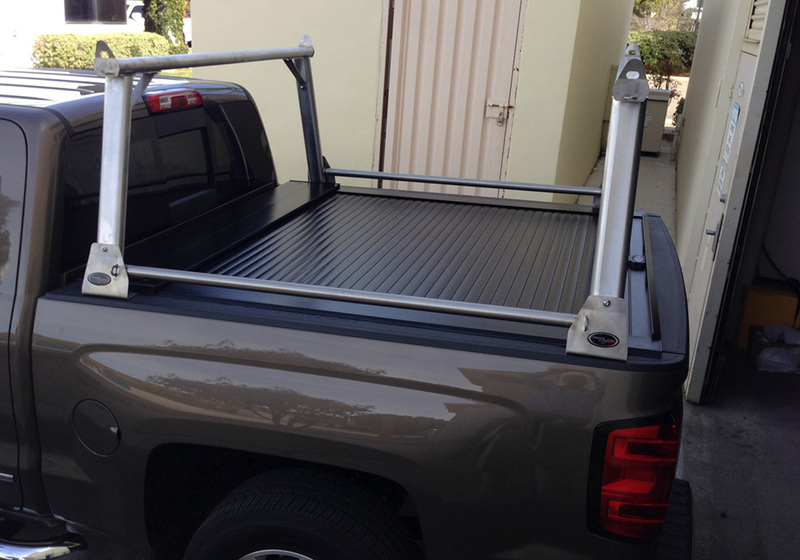 Side-rails provide platform for mounting optional accessory crossbars just above the bed for a second level load option. Removes easily and disassembles for compact storage. 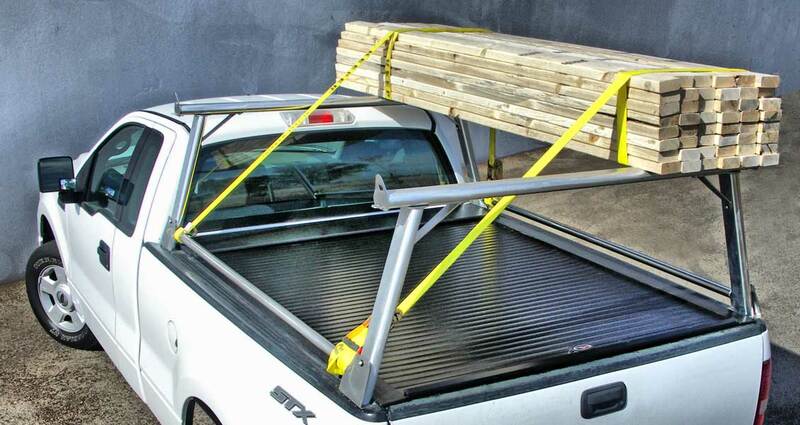 Multi-Purpose Utility Rail which enables you to add accessories & tie-down anchor points!